In his first guest appearance on the blog, Nick Alexander poses the question, is or should Miami be on the cards as Liberty look to expand the sports reach in the USA. In November 2017, the Miami Herald reported on a meeting between key city officials and Formula 1. Executives and engineers with the global racing brand were in town this month, meeting with Miami’s new mayor and the city’s head of film and culture to go over potential racing circuits and logistics. At that time, the city reportedly hoped to bring a street circuit to downtown by 2020. I’ll admit, I don’t regularly read the Miami Herald (simply as I am not a resident of the greater Miami area – I have no thoughts about the publication either way). I found the above article in doing my research for my own article. For the next few months, I did not find much news about a Miami race specifically. 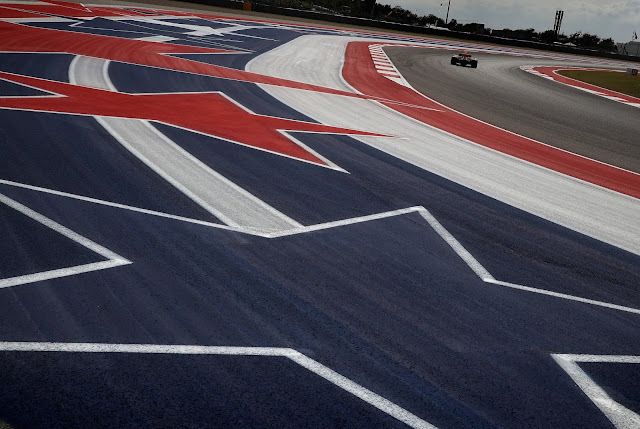 I say “specifically,” because Liberty Media have openly discussed the possibility of a second U.S. Grand Prix (or shall I say, a second Grand Prix in the United States – who knows which race would be called what) both before and after this November meeting, without naming one particular city. For example, a cursory search engine inquiry of your choice (and you know which one has its own verb) might lead you to an April 2017 Road & Track (which I receive in print and flip through) article about the possibility of a night street race in… New Jersey? You don’t need me to translate the rest of the article. Google will do a decent job at the rest for this article (good luck with the technical stuff though)! There’s really not much in it. It’s actually, well, a tease. Have you had authentic Cuban food? All four major U.S. pro sports (hockey, basketball, baseball, and football with the Florida Panthers and the Miami Heat, Marlins, and Dolphins, respectively). (Flight info from airport website. Population info from Wikipedia). Not ready to fly straight back? If you want a detour before you go home, pop over to the Bahamas, Cuba, Hispaniola, Jamaica, or Puerto Rico. But in talking about all these huge cities you could fly from, let’s not forget how big Miami is, ranking in at the eighth most populous U.S. metropolitan area. Would you have guessed that? There’s some lower-ranking cities I’m thinking would have come to your mind first, like Atlanta, Boston, Detroit, and Seattle. Austin? Way down in 33rd. I don’t know why I’m arguing for a race in Miami. People seem already (from my nonscientific discussions with other enthusiasts) to be on board with that. A new street circuit (or any new circuit) is tantalizing for some. Miami has its unique cultural appeal. It’s not extremely difficult to get to. There’s plenty to do and plenty nearby to venture off to as well. But what about two races in the United States? Can the U.S. even have two races? Let me get this out of the way. A country can have two F1 races. It is not unprecedented. In fact, it happens in Europe more often than not. The European Grand Prix virtually means Grand Prix in a European country that has another Grand Prix**. Recently, Valencia hosted the European Grand Prix from 2008-2012 (with Barcelona holding the Spanish Grand Prix). The parallels between Valencia and Miami and Catalonia and Texas seem endless. Before that, from 1999-2007, the Nürburgring hosted the European Grand Prix (with the German Grand Prix at the Hockenheimring). I therefore hereby declare the Miami Grand Prix shall be called the North American Grand Prix. I’m going to also say right now that if Canada got another turn, my vote is for Vancouver. But should the U.S. have two races? Why race in Austin if we’re going to race in Miami? Can the fanbase support it? These would be two completely different races. Miami will be a street circuit. Different layout, challenges, overtaking possibilities, etcetera. “Texas is neither southern nor Western. Texas is Texas.” Senator William Blakely. Anyone who’s visited Texas likely learned it was its own country, or at least they can sense it. Suffice it to say, if you’ve been to either Texas or Florida, you cannot be said to have experienced the other. I don’t know if you’ve looked at Miami on the map, even after reading this far, but it’s very much in the corner of the United States. And I don’t know if you’ve looked at the United States on the map, but it’s an enormous place. Flights from Seattle to Miami? 6+ hours. That said, Miami is very convenient for much of the east coast and internationally. As I said above, I have not been to Miami. I did, however, attend the 6 Hours of the Circuit of the Americas last year (amazing, by the way), so I have been to Austin. I can assure you, Miami and Austin are very much two different places. Trade the Cuban food for barbeque. Trade Little Havana for Willie Nelson Blvd. Trade the everglades for the hill country, South Beach for Lady Bird Lake. Forget pro sports. Austin is weird. Honestly, I’m lucky enough to have direct flights to both Austin and Miami, so I could feasibly attend both F1 races. I’m sure there are other enthusiasts on the east coast who would be willing to take a direct flight for a 3-4 day weekend in Austin one month and another direct flight for another 3-4 day weekend in Miami another month. They may have been meaning to go already. The perfect opportunity, or rationalization? I’ll let you decide. *At this point it would be fair to mention to the reader that I will be translating from German to English myself wherever applicable. **The 2016 European Grand Prix in Baku, Azerbaijan is an obvious exception, as there was only one Grand Prix in Azerbaijan in 2016. I suspect this was more of a marketing decision by the host country. The name has changed from 2017 onward to the Azerbaijan Grand Prix.